Newgy Robo-Balls have been selected especially for use with all Newgy table tennis robots. 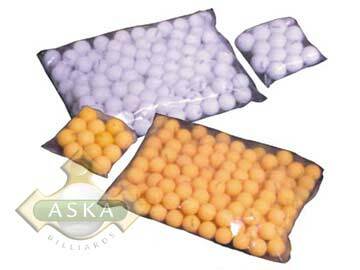 Robo-Balls are high quality balls ideal for recreational play or multi-ball training. Durable, long-lasting. Available in either orange or white by the gross (144) or dozen (12). 38mm balls are graded as 1-Star; 40mm balls as 2-Star.